The Pommeranian duck breed is relatively unusual among backyard duck breeders. In fact, the Pommeranian duck breed is rare throughout much of the world, especially in North America. Due to its rarity, many backyard duck hobbyists aren’t familiar with the Pommeranian duck breed. Pommeranian ducks are originally from Europe. First bred in Pommerania over 80 years ago, the Pommeranian duck breed gets its name from this geographic area. The Pommeranian duck is a lean bird and can weigh anywhere from 2 kilograms to 3 kilograms (6.2 pounds). A unique quality of the Pommeranian duck breed is its efficiency with hunting snails, making them popular among some duck hobbyists for controling garden pests. Pommeranian ducks make excellent duck egg layers, laying over 140 duck eggs on an annual basis. Pommeranian ducklings can be slaughtered at as young of an age as 10 weeks for duck meat purposes. Pommeranian ducks can be quite self-sufficient and hardy and can do well in some temperatures and environments that other duck breeds would not be able to handle. Raising and Caring for Pommeranian Ducks: Pommeranian ducks can be hard to obtain, as the Pommeranian duck breed is only bred by duck breeders in a select few towns in Europe. 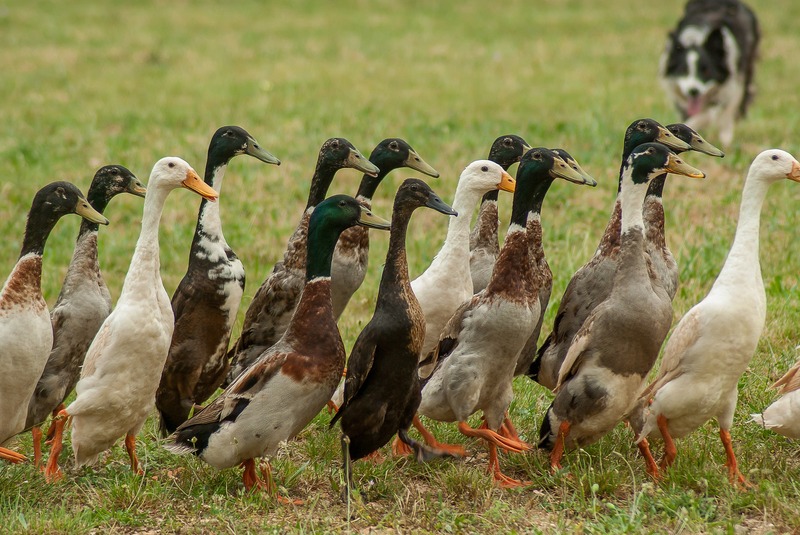 Pommeranian ducks can eat regular duck feed, though they also do well on free-ranged pasture. Pommeranian ducks have green-black and blue-gray feathers, which makes them attractive to breeders of ornamental duck breeds. If you wish to brood and hatch Pommeranian ducks, it takes 28 days to hatch the average clutch of Pommeranian duck eggs. Pommeranian duck eggs may be purchased and imported. Backyard duck hobbyists may need to use an artificial incubator and brooder, or a broody chicken hen, to incubate the Pommeranian eggs. Various poultry foundations are currently looking for breeders to breed Pommeranian ducks and keep the Pommeranian duck breed going. Other information about incubating and hatching Pommeranian duck eggs can be gathered in our hatching duck eggs article.